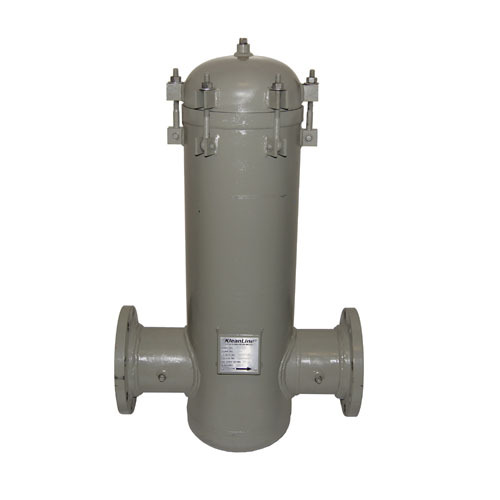 KleanLine Dry Gas Filters (KL) are designed to remove particles from dry gas without substantial pressure loss. All steel construction meets the demands of large volume industrial meter sets or distribution regulator stations where the pipeline maop can range from 175 to 1480 psig. Standard filter element removes particles to 10 microns. Flanged models available in 2" through 12" sizes. This product is not yet available for purchase on this website. Please call 1-800-532-3033 to order or for further information.